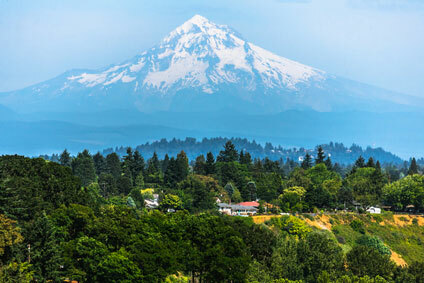 Portland, Or, is an outdoor lovers paradise. With the Willamette River, Columbia River, West Hills and Mt. Hood all in close proximity, wanderers can find outdoor adventure just outside their front door. On those days when you just want to sit back and relax, why not take in all the natural beauty of the Pacific Northwest in a Global Solarium conservatory or sunroom? There are three kinds of sunrooms: Edwardian, Georgian, and Victorian. The Edwardian style has a more modern look with square or rectangular floor plans. With the addition of proper ventilation – windows, doors, and fans – this sunroom can be built to suit your lifestyle needs. The Georgian style sunroom, also known as cathedral style, features straight lines, large windows and variable roof pitches. Originally used to house tropical plants, modern technology allows Global Solariums to build Georgian sunrooms that are very energy efficient. For an old-world charm, Victorian sunrooms boast distinctive glass structures adorned with architectural additions such as finials, cresting, stained- or etched-glass transoms, and copulas. Global Solariums can build your Victorian with vinyl, aluminum, or wood products, and will bring the outdoors in. For those days when you need a break from hiking, biking, or kayaking, let Global Solariums build your custom conservatory or sunroom so you can still enjoy the outdoors during all four seasons while staying comfortably indoors.